HPE Service Anywhere is a comprehensive, Big Data SaaS service desk based on industry best practices and built on a modern, scalable platform. 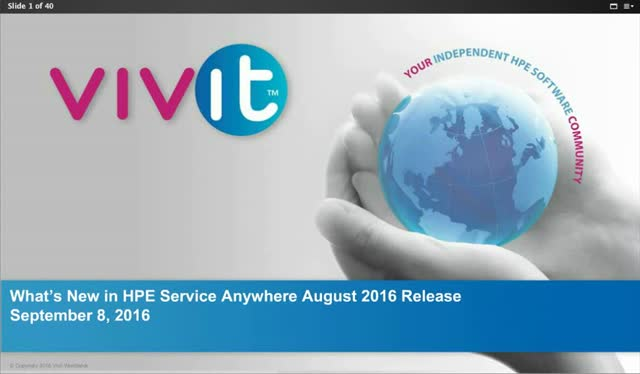 August 2016 brings a new, feature-packed HPE Service Anywhere release. This webinar will present the release highlights and the benefits they will bring to your service desk.